In 1843, the widening of the Erie Canal was finishing up, allowing increased trade from the west. That year, the Allen Brothers started a monthly called The American Agriculturist. That first year, the paper included a table of new British tariffs on agricultural goods, an article on growing hemp and an account of the pork business in the west which, at that time, meant Ohio. 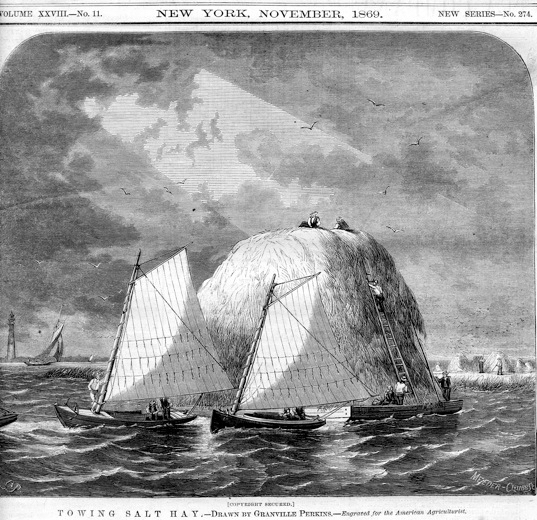 The original paper was sparsely illustrated and confined to agriculture. Well written but dry. The Allens hired Orange Judd as its editor in 1853, and three years later he purchased the monthly from them. Under Judd's leadership The American Agriculturist expanded and incorporated an abundance of engraved illustrations. He also started publishing a German language edition for new immigrants containing the same articles and illustrations. Later, five separate regional editions emerged to reflect the expansion of the nation. Judd also shifted the focus toward the whole family, with sections specifically for children, including puzzles. He also expanded the content beyond the production side of the farm to include ornamentals and natural history. The paper carried an ever-increasing bevy of advertisements. Cabinet organs, melodeons and other instruments, gelatin for jellies and blanc mange, horseradish graters, grist mills, all manner of seed and plants, steam engines, wire, watches and the Great American Tea Company announcing the latest ship to arrive and the various sorts of tea aboard. Judd refused all advertisements for patent medicines and the like, and did not publish medical advice. He relaxed his rule during a scarlet fever epidemic, though, showing various ways to cool down a person with the fever. He noted that he was relaxing his rule in a dire moment and nonetheless a doctor should be consulted immediately, though in the rural America of the 1860s, "immediately" had a different measure in time. He maintained a column titled "Sundry Humbugs" covering various frauds, quacks and swindlers. Then, as today, there were dubious educational opportunities termed "telegraph schools and colleges," cancer scares, rare and special seeds discovered in improbable places and available exclusively from so-and-so, &c. In October 1876, he even took on patent trolls. All were mercilessly dispatched with facts. The covers and illustrations of the magazine capture agricultural history in the latter half of the 19th century. 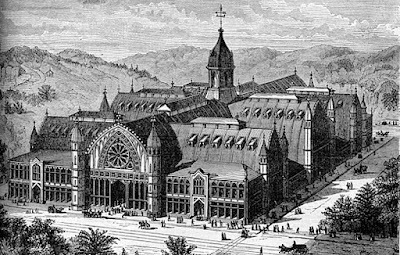 The cover in May 1876 shows the gothic Agricultural Hall at the Centennial Exhibition. 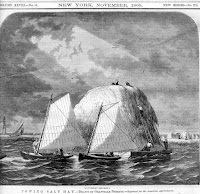 The towing of a barge loaded with salt hay and a visit by a poultry buyer recount events in rural America. But the magazine was far from parochial: there were also illustrations of agricultural and natural history moments from around the world, presaging the National Geographic. 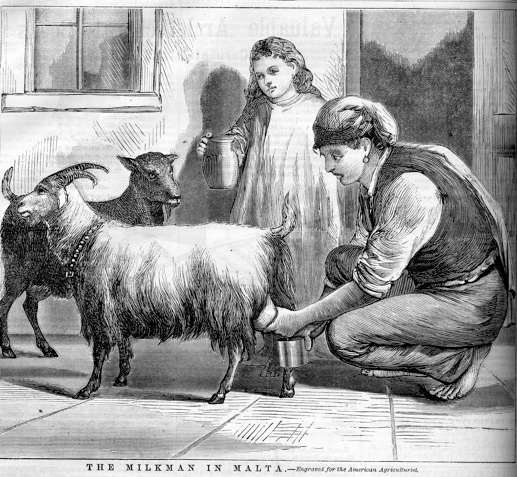 The "Milkman in Malta" describes how the animal is brought from door to door and milked at the point of sale. The tone is inquisitive, yet always respectful. 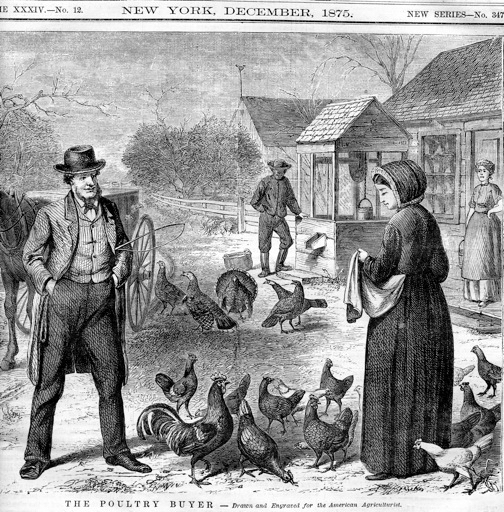 In January 1881 the cover was from the inside of Castle Garden, which preceded Ellis Island as the nation's new arrivals processing center, noting that these men and women are the future farmers of America. "Although not an agriculturist, his portrait properly finds a place in an agricultural paper, as, many-sided man he was, he had a more profound knowledge of the principles upon which its successful following depends than many who devote themselves especially to agriculture. 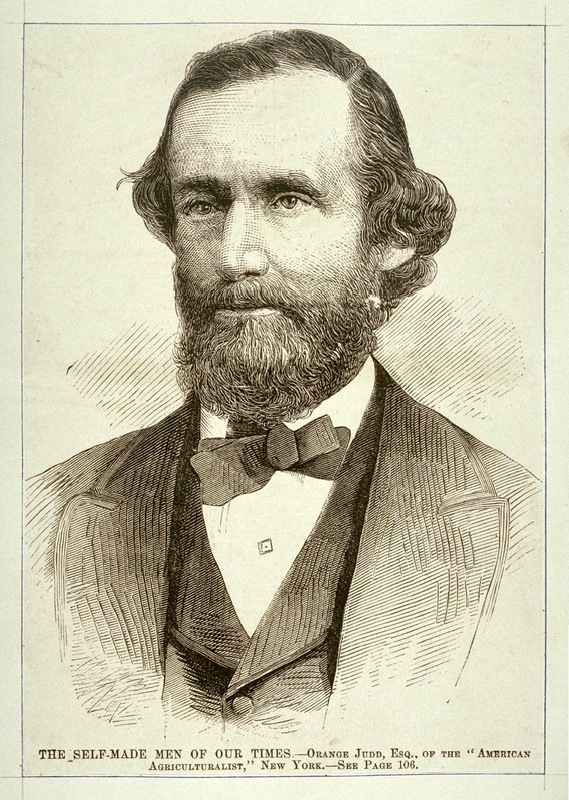 As a member of the Massachusetts State Board of Agriculture he thoroughly identified himself with farmers, and at its meetings, from which he was never absent unless ill or upon some distant journey, he was ever ready to impart instruction, and by his enthusiasm in regard to all matters relating to agriculture awaken a like enthusiasm in his hearers." "The agricultural hall at the centennial exhibition." 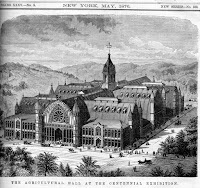 The American Agriculturist was as many-sided as Agassiz. It captured that love of nature that can disappear when farmers treat nature as an adversary, reminding farmers of the extraordinary world about them. At the time, there were no agricultural experiment stations, and the Morrill Act created a land grant system in 1862, so public research was most charitably described as nascent. In fact Orange Judd privately funded the first such station at his alma mater, Wesleyan. The paper's correspondents helped disseminate research by gathering together information and conveying their observations into clear and practical advice. The publishing house he established also issued many of the books on our shelf at Ayers Creek Farm. We subscribe to many modern farming publications, and what is striking is the lack of curiosity, appreciation and care for natural landscape. Several years ago, Growing for Market, a publication for small farms, published an article by us on how to attract kestrels with nesting boxes and perches. The article elicited an angry response about how kestrels kill baby swallows and other birds, and should be discouraged. When we give young farmers tours of the farm, there is an endless stream of questions about how we ward off the evils such as pests and weeds, and strikingly little curiosity about the natural processes that make a farm whole. Seems the conversation devolves to how to get rid of something, rather than how live with it. Opening The American Agriculturist and reading a long article on the ichneumon wasp or the pitcher plant provides an appreciation of the curiosity that farmers of the 19th century had about the world around them. 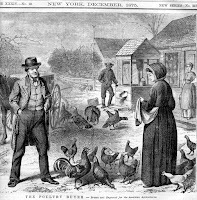 Hi, and thanks for your informative article on the American Agriculturalist! I bought a good run of it (from the early 1840's into the 1870's, maybe later) and after having made my way through a few volumes I'm very surprised at the high literacy and broad interests that seem to have been present in the readership of the magazine. I mean, there's all manner of daily work-a-day info in it (like making a device for your wagon to spread liquid manure), plus (as you point out) endless articles long and small on very determined details of biology and tech stuff. It is a very impressive magazine--and that's just it, it isn't necessarily a "journal" as you'd find with Nature (only started in 1869) which was relatively specific for a more-advanced readership. This magazine dealt with farmers, and gardeners, and I guess all of the trades that fed into America's largest industry. And so there you have it. I just wanted to pop in and say my note of "thanks" for giving me good background on the mag.